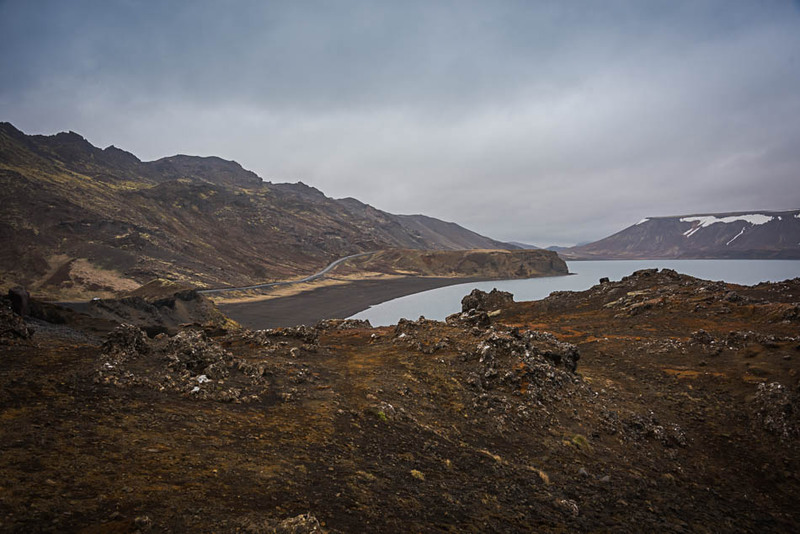 Kleifarvatn is the largest volcanic lake on the Reykjanes peninsula, and is part of the larger Krysuvik geothermal region, hotspots and vents located on the fissure of the mid-atlantic ridge. It is the one of the deepest lakes in Iceland, at 97m. The lake is filled with groundwater, there is no visible inflow or outflow. After an earthquake in 2000, the water level dropped, but recovered again in the last decade. Being so close to the geothermal area, I expected the lake to be warmer; other than a small spot with an inflow of hot water in the southern part of the lake, it is very cold. 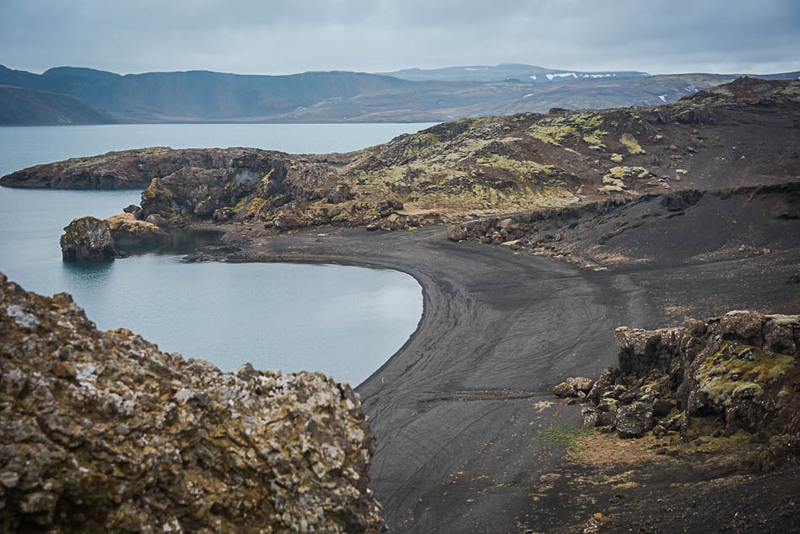 Like almost every inaccessible lake in the world, Kleifarvatn is rumored to be the home of a serpent-like monster living in the depths.